- Fight and explore through the world of Kron, find rare heroes and see if you have what it takes to persuade them to join you! 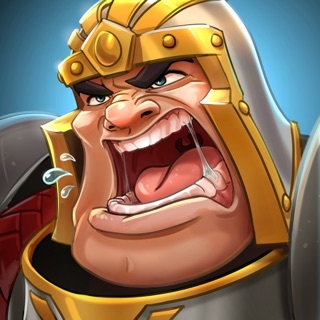 - Fight against a horde of enemies in challenging special events! Hero for 2019 April, Abyss Bishop: back line intellect hero, using skill Abyss Falling to increase his power. Added new skin: Master Mage-Sky Dome Light. Added Rewards Displaying interface for Chicken Dinner. Added scoring rules for Chicken Dinner. Fixed a bug that Mercenaries couldn't use the ultimate skill. Fixed a bug that players couldn't check enemies' team in Championship. Fixed a bug that game crashed when Chaos Doctor was in War of the Gods. I keep playing because of my guild buddies, not because the game is all that great. The people prepared to spend big bucks have the advantage and it is very discouraging to new players. Devs do their best, but its a money game. Three days ago I opened a case - have some problems with the account which disappeared. I still have no response, also registered in the Forum - no reply. Could you please provide your account ID so we can check? Thank you! Going after lvl 60 is slow and boring. Also you have to commit some hours everyday so you can keep up if you want to have nice game experience in Arena. I'd like to add that the game has many flaws, defects and many bugs which directly affect the experience and on top of that the developers make everyday changes to your inventory items "in order to be fair" (while it is not). I'd not recommend that game.